Film roles included Hans Gruber, the psychopathic villain who tormented Bruce Willis in "Die Hard" in 1988; a deceased lover who consoles his bereaved partner in 1990's "Truly Madly Deeply"; the wicked Sheriff of Nottingham in "Robin Hood: Prince of Thieves" in 1991; and a wayward husband in 2003 romantic comedy "Love Actually." Millions know him from the Potter films, in which he played Hogwarts teacher Severus Snape, who was either a nemesis or an ally - possibly both - to the titular teenage wizard. Mohammed Saghir, the present-day Sheriff of Nottingham - now a ceremonial role in the English Midlands city - paid tribute to Rickman's version of Robin Hood's famous foe. "I so wish he'd played King Lear and a few other classical challenges but that's to be greedy," actor Ian McKellen wrote on Facebook. "He leaves a multitude of fans and friends." In 2005, he directed "My Name is Rachel Corrie," a play based on the diaries of an American pro-Palestinian activist killed by an Israeli bulldozer in the Gaza Strip. Sigourney Weaver, who starred with Rickman in "Galaxy Quest" and the 2006 film "Snow Cake," said the project was an example of the way Rickman "used his talent always to make a difference." 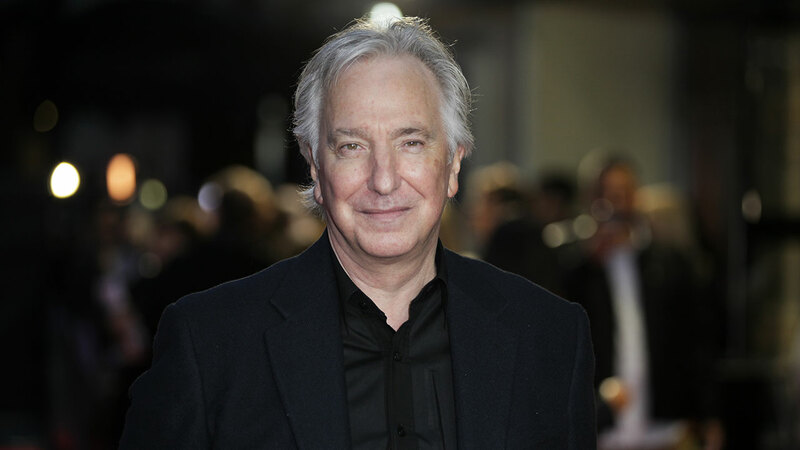 Rickman is due to appear in two yet-to-be-released films: "Eye in the Sky," with Helen Mirren and Aaron Paul; and the animated "Alice Through the Looking Glass," in which he voices the Blue Caterpillar.